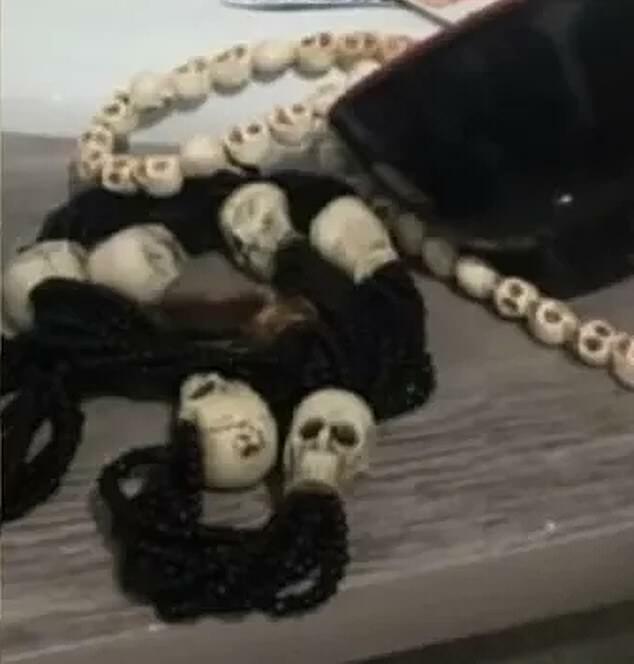 A woman has suffered traumatic injuries after being tortured for several days by her husband in black magic rituals, Brazilian police claimed. 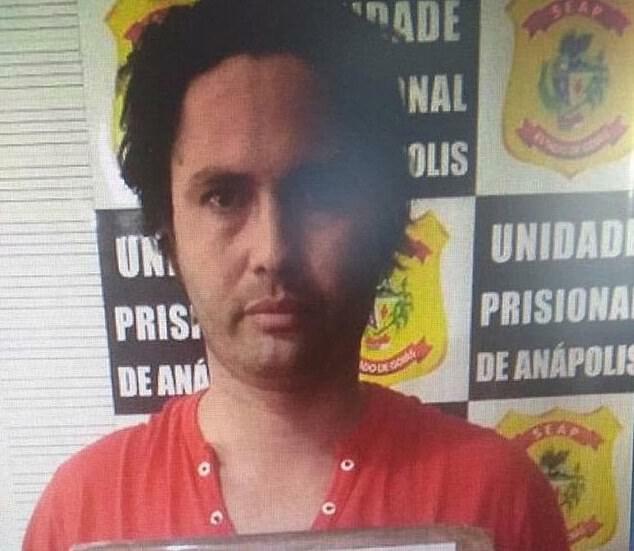 The 31-year-old victim, whose identity is protected, was kept imprisoned in the family’s house by Washington Ribeiro, 30, and subjected to horrifying levels of violence. She was threatened with being offered as a ‘human sacrifice’ during the evil practices if she raised the alarm. 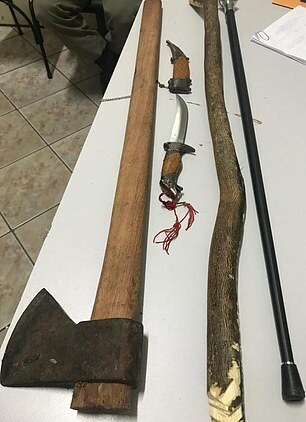 However, the mother-of-one managed to flee the property in Anapolis, central west Brazil, and alerted police to her plight after her tormentor went to buy household supplies. She was left alone with their one-year-old daughter who was also allegedly assaulted during the satanic acts. 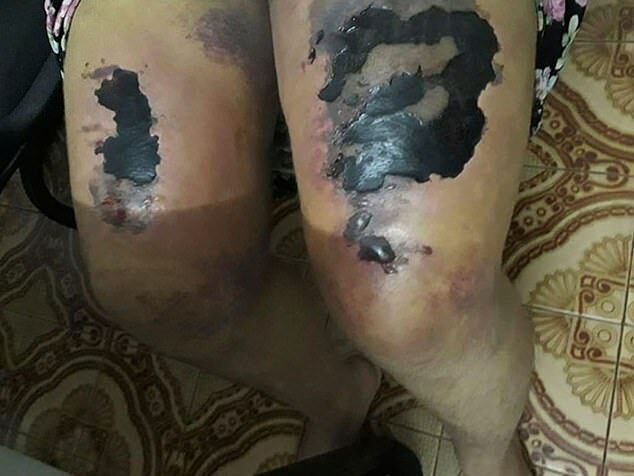 A stomach-churning image released on Monday by police shows large blackened areas of dead flesh on the woman’s thighs where skin and tissue have rotted away. The wounds were allegedly caused after she was thrashed repeatedly in the same spot with wooden implements during so-called ceremonial acts to ‘appease evil spirits’. According to investigators the victim’s back was weeping from open lesions with evidence of burns possibly caused from hot wax and scalding water being poured over her. Large areas of her body were discoloured from severe bruising following multiple beatings. She was nursing a broken right arm but was unaware of the severity of the injury because she was in a state of shock. Marisleide Santos, chief of the women’s police station, said: ‘She was allegedly hit on the legs again and again in the same place with pieces of wood which caused boils to erupt. ‘The assault continued even when the wounds blistered and burst. The attack destroyed the tissue in her legs and caused necrosis to set in. The victim claimed she was subjected to ‘relentless and brutal domestic violence’ which took on a sinister twist when black magic practices were apparently used to intensify her suffering and ‘satisfy’ the perpetrator. 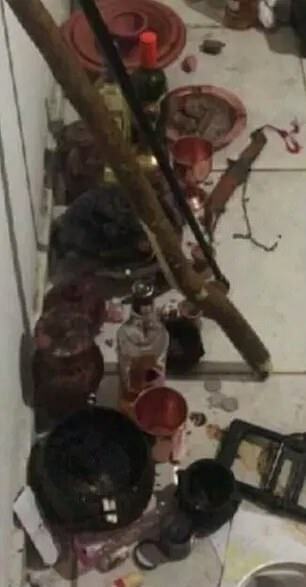 The suspect, who allegedly belongs to a devil worshipping cult, is believed to have threatened to offer the lives of the victim and their child to dark spirits during the occult practices. The toddler was found to be malnourished and suffering from deep scratches to her face. ‘From what the mother told us, the baby was forced to swallow a concoction during ritualistic acts,’ Chief Santos revealed. The investigator revealed officers and medical staff were shocked by the extent of the victim’s injuries. On the day she escaped, the terrified woman claimed her husband ‘recited curses and incantations’ and warned that if she contacted anyone or left the house he would ‘kill her’. 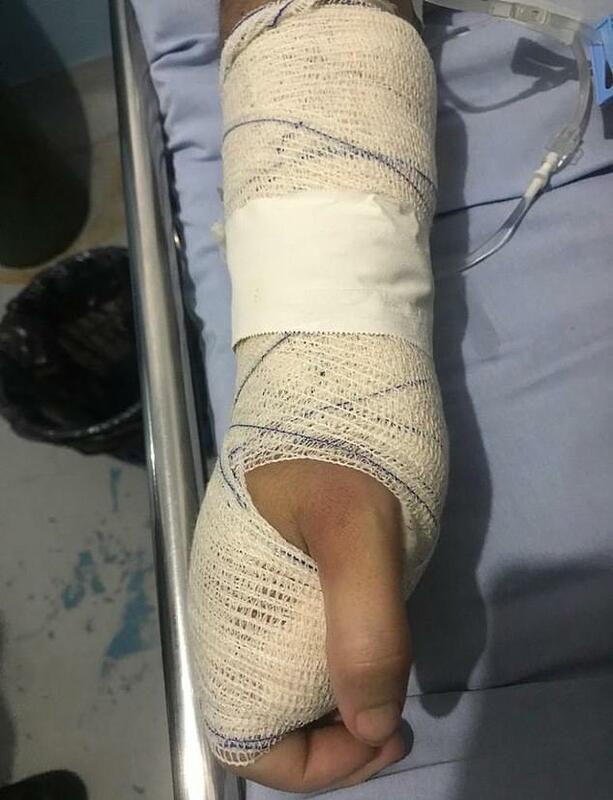 Edinilson Faria, clinical director of Anapolis Municipal Hospital said: ‘The patient was admitted almost immediately after arriving at the police station because of the severity of her injuries. The child has also been treated for her injuries and taken into care while her mother recovers. The suspect was arrested after he arrived at the police station claiming to be a concerned relative searching for the missing woman. The incident was recorded on March 11. 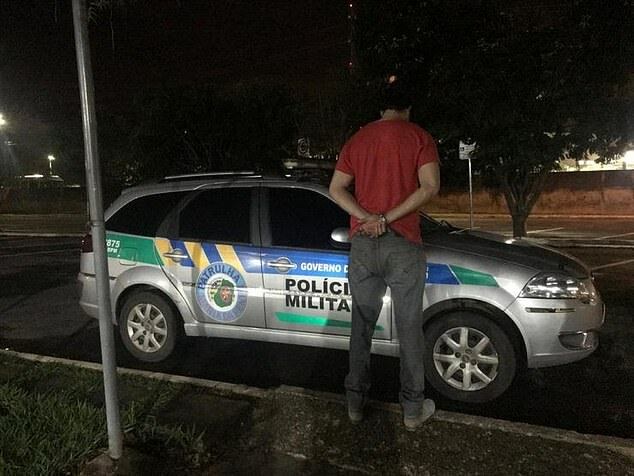 Chief Santos said: ‘Ribeiro came to the reception at the women’s police station and claimed to be the victim’s brother by giving a false name and feigning concern for her whereabouts. The assailant is being held in custody awaiting trial for charges of attempted femicide. Brazilian legislation criminalises gender-based aggression and murders and sets tougher penalties and greater protection against those responsible for assaulting or killing a woman for being a woman.